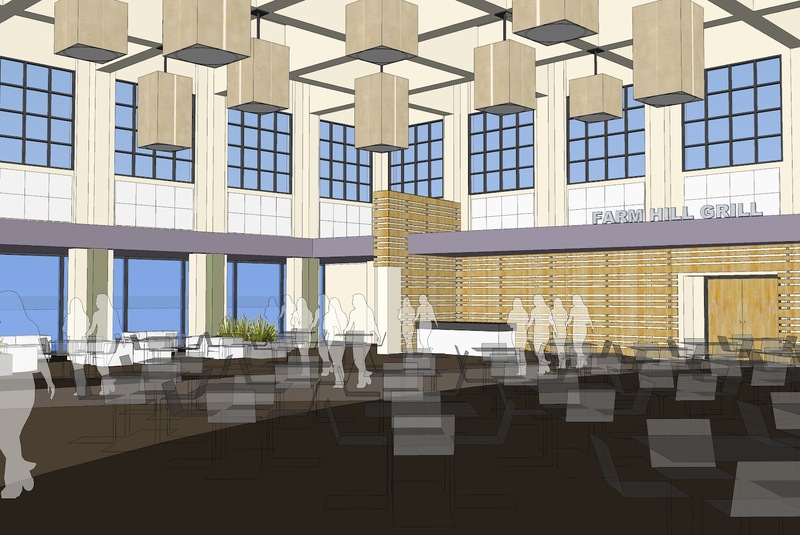 Cañada students will have a new place to study, eat, and socialize on campus with the opening of The Grove in August. 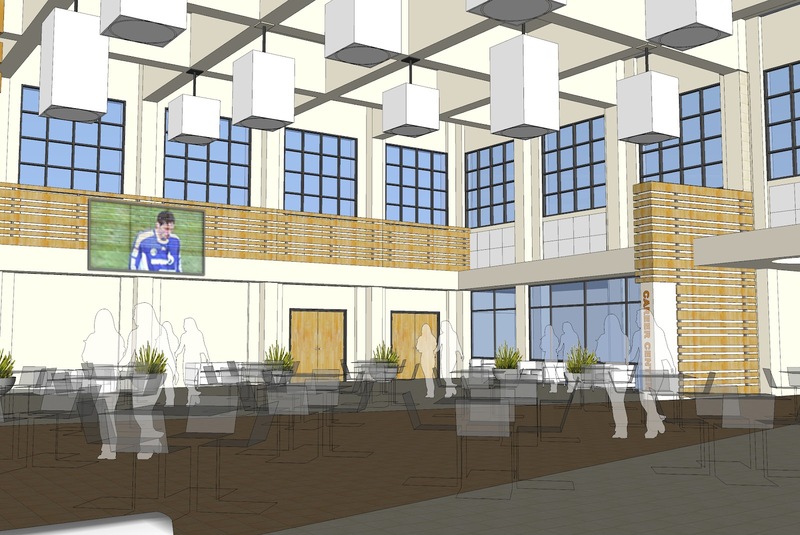 The old cafeteria will be replaced with a modern gathering space featuring large open areas for relaxing, a dining court, Career Center and Student Lounge. “The students have waited a long time for the opening of the new Student Center,” said Interim President James Keller. The centerpiece of Building 5, the Grove is much more than a cafeteria. 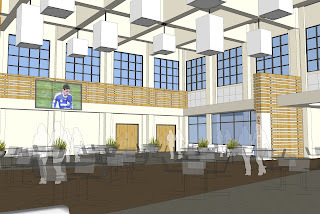 It brings together the Career Center and Student Lounge with the dining area to create a hub of activity and a true Student Center that Cañada has always lacked. 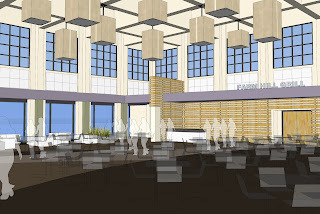 The interior of The Grove was designed by students in Professor Nancy Wolford's interior design classes. The finishes are highlighted by wood accents, large pendant lighting fixtures, soffits and angled wing walls, will soften the space, enhance the acoustics and take away the "old school" cafeteria feel. A large six-panel video wall will bring a modern, hip, feel to the space. The Grove is also located adjacent to the Associated Students of Cañada College Office. It should lead to more students becoming aware of campus issues and activities. For nearly two years, Cañada students have purchased food from a vending truck located near Building 9. They have not had a dry location to eat during the winter. The Grove will also serve as a general gathering space and area for campus celebrations as well as educational programming.